CV-Library, the UK's leading independent job board was recognised for ‘Most Creative Offline Marketing’ in the generalist category, at last night’s Online Recruitment Awards. This is the fourth year running that the business has received this accolade. The job board’s creative offline marketing activity plays a key role in cementing CV-Library as an industry leader. This award is testament to the continued success of the business and its impressive efforts to promote and market itself through engaging outdoor advertising. After another record-breaking start to the year, and now sitting on the first award win of 2018, it looks to be another exciting year for CV-Library. This is the tenth year running that the Hampshire-based job site was shortlisted for the OnRec Awards. 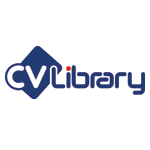 In addition to their win, CV-Library was also nominated for ‘Best Online Candidate Experience’ in the job board category, and Sales Director, Mike Powell, was in the running for Personality of the Year.